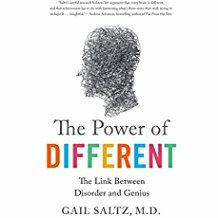 The Power of Different is a powerful examination of the connection between the potential for great talent and condition commonly thought to be “disabilities”—revealing how the source of our struggles can be the origin of our greatest strengths. Psychiatrist and best-selling author Gail Saltz examines the latest scientific discoveries, profiles famous geniuses who had been diagnosed with all manner of brain”problems”—including learning disabilities, ADD, anxiety, depression, bipolar disorder schizophrenia, & autism—& tells the stories of lay individuals to demonstrate how specific deficits in certain areas of the brain are directly associated with the potential for great talent. Saltz shows how the very conditions that cause people to experience difficulty in school, in social situations, at home, or at work, are inextricably bound to creative, disciplinary, artistic,empathetic,& cognitive abilities. In this pioneering work, readers will find engaging scientific research & stories from historical geniuses & everyday individuals who have not only made the most of their conditions but also have flourished because of them. Enlightening and inspiring, The Power of Different proves that the unique wiring of every brain can be a source of strength & productivity, and contributes to the richness of our world. Collared is one in a page-turning series of mystery & crime. 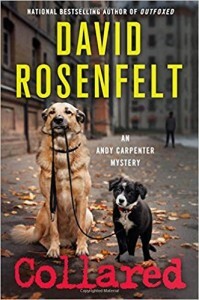 Dog lovers will adore these books but serious mystery fans will love the puzzle. 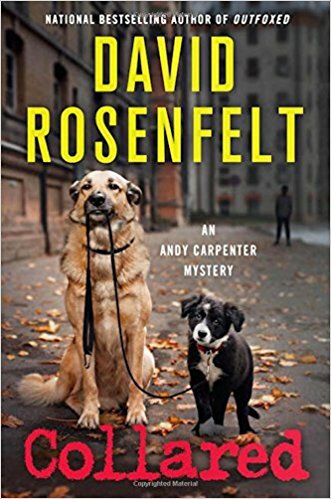 Lawyer Andy Carpenter’s true passion is the Tara Foundation, the dog rescue organization he runs with his friend Willy Miller. All kinds of dogs make their way to the foundation, and it isn’t surprising to find a dog abandoned at the shelter one morning—although this one was accompanied by a mysterious anonymous note. But they are quite surprised when they scan the dog’s embedded chip and discover that they know this dog. He is the “DNA dog”. A critical part of an earlier kidnapping investigation of a baby & his dog. A conviction was made, but the baby & the dog were never found. Now with the reappearance of the dog, the case is brought back to light & the search for the child renewed. What Andy & his team start to uncover is far more complicated & dangerous than they ever expected.